Have you lost data due to mistakenly formatted android devices? If you are android users and are facing any of these data loss situations, then what will you do to recover lost android data? Don’t panic, we have a solution to get back your android data without any data damage. Using android data recovery software you can easily recover lost digital photos, pictures, images, mp3/mp4 files, folders, important documents, project files and other precious data from android mobile phone, tablet pc and other android technology based devices. Software provides inbuilt disk scanning technique that deeply scans your android devices to recover deleted data. Recover corrupted files and folders damaged due to human error or any virus generated data loss. Program provides option to save your recovered files at specific location on your computer system. Software is capable to recover your all lost data from major brands of android devices including: Motorola, Samsung, HTC, Sony, LG, HUAWEI and other manufactures of android devices. Choose any one recovery mode to recover lost data files. Here we have selected 'Signature Search' for demonstration purpose. 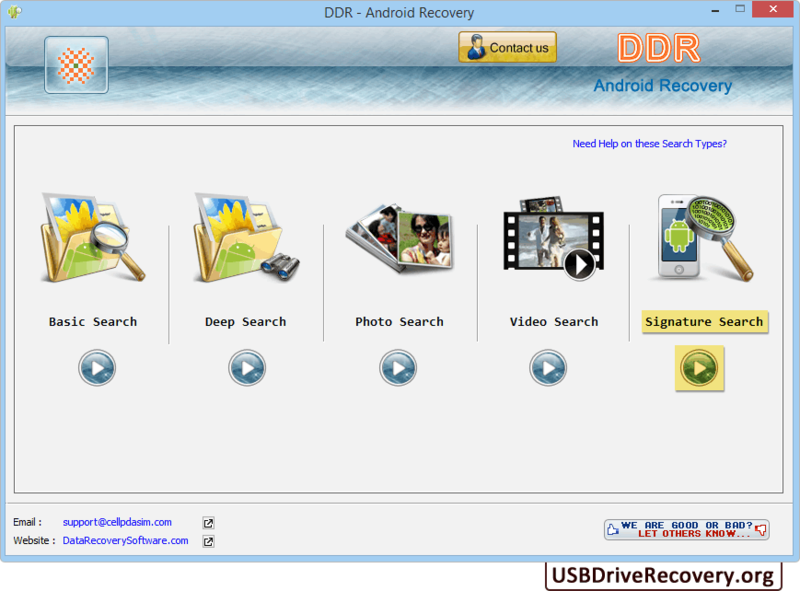 Android data recovery software recover deleted files using different search recovery techniques like standard search (deep search, basic search) and android specific search (photo search, video search, signature search) to recover lost data. Android file restore program performs read only operation to recover deleted android data. 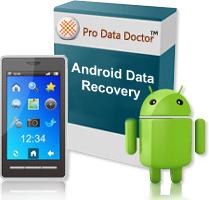 Android data retrieval software is fully capable to recovery deleted data from major android device brands including Motorola, HTC, Samsung, LG, Sony etc.